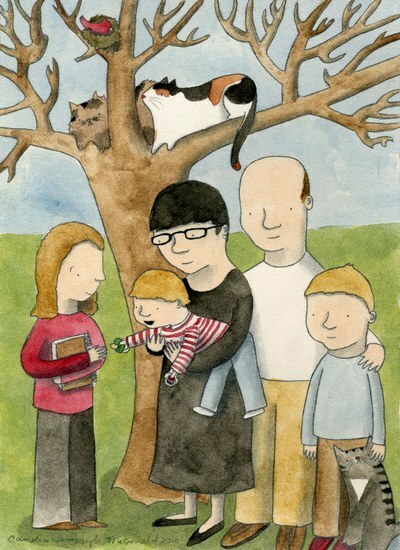 I like the idea of a family portrait but I’m not sure if I want a huge photograph of myself hanging on the wall. Plus, the chance of getting all six of us looking normal and in the same direction for a single photograph is remote. Then again, who says a portrait has to be a photograph? Candace Hartsough McDonald, the artistic talent behind Cordial Kitten, provides a modern take on the traditional portrait sitting. 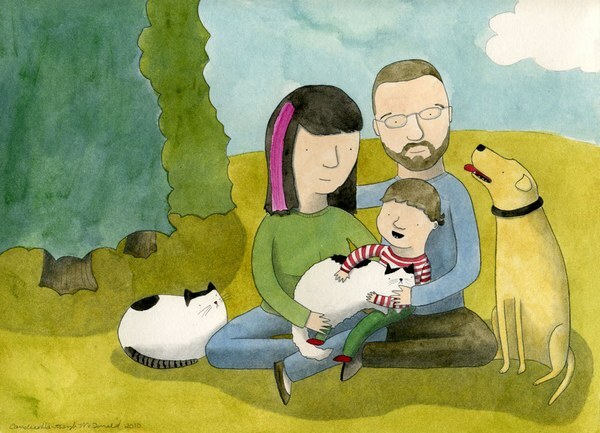 Commission McDonald to create a quirky and sweet picture of your family, your baby, the grandparents or even the family pet. McDonald creates the portrait from photographs and they can be simple, such as the family sitting by the fireplace or packed full of activities and things your family loves to do together. While you’re at Cordial Kitten, take a look at some of the other pieces on offer. It was the gorgeous Hiding Place print that first brought me to Cordial Kitten and my copy is now framed and nestled amongst the books on my shelf – it always makes me smile. Hiding Place is good representation of McDonald’s style – it’s not bold or brash but it grabs your interest in a gentle, sweet way. As well as prints, there are also original stuffed toys and paintings. 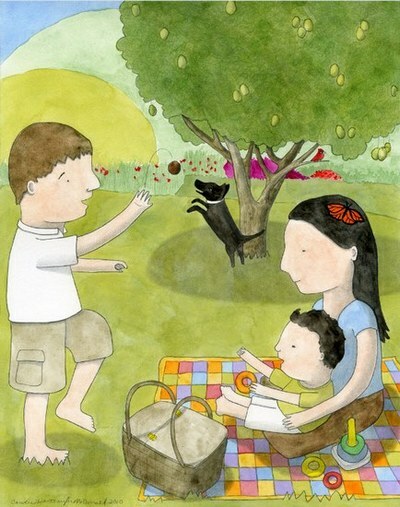 Personalised portraits begin at US$200 and a print of Hiding Place is US$20. Cordial Kitten ships to Australia.